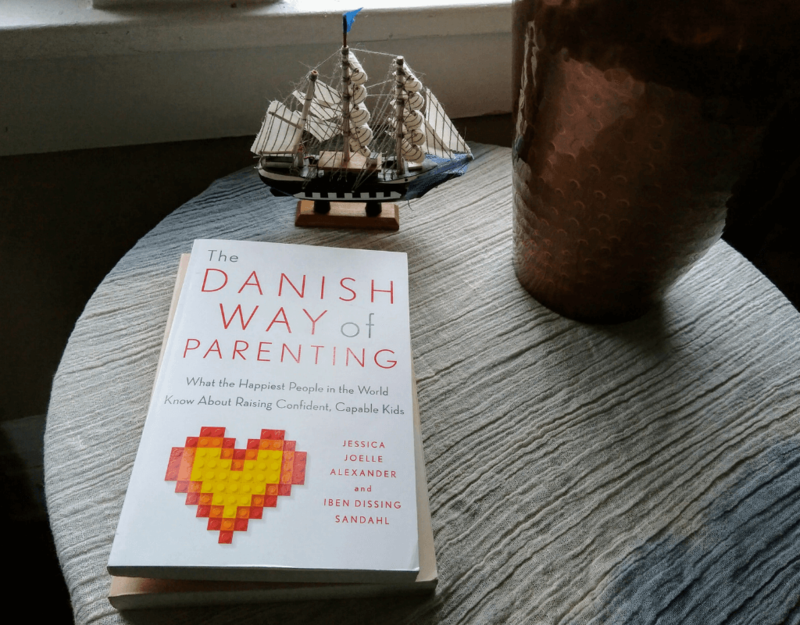 Lately I’ve been reading “The Danish Way of Parenting: What the Happiest People in the World Know About Raising Confident, Capable Kids” by Jessica Joelle Alexander and Iben Dissing Sandahl and I’ve been loving it. It’s one of those books that is familiar enough that it’s not too much of a mental stretch to understand what the authors are trying to get at, but it’s different enough to change you. Minnesota is a heavily Scandinavian part of the Midwest. While we are all decidedly American, you can see our roots reflected in our culture. Lefse, pickled herring, Lutefisk dinners in dimly lit church basements – it’s all there. 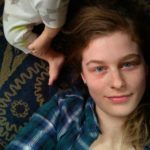 Even the recent hygge fad elicits a “well, yeah” from our communities. One of the things that I really enjoyed reading about was process praise. My mother tells me a story of drawing a picture once. She took it to her grandmother and her grandmother did not tell her it was pretty. She didn’t compliment her on the quickly scrawled crayon image. Why? Because saying “good job” for something that isn’t a good job isn’t authentic and it doesn’t help the child grow. Saying “good job” to a child creates a fixed mindset. While we feel like we are boosting our kid’s confidence by complimenting them, we are actually limiting them. If it wasn’t a good job or if it was something that came easily to them, this says, “Good enough. 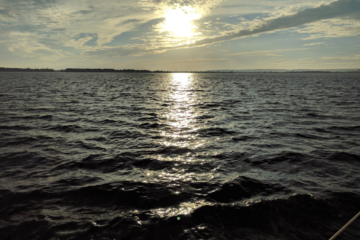 You don’t need to try harder next time.” Even more dangerous, next time they experience a task that is challenging instead of driving through it and figuring it out, many kids become paralyzed by the fear that they aren’t good enough. Praise is important for kids and it does do wonders for self-esteem. But process praise has been shown to not only boost a kid’s self-confidence but motivate them to try harder. Instead of complimenting my mom on her drawing, great grandma asked her about it. This distinction of “I am” versus “I did” is the difference between shame and guilt. Brene Brown is a researcher who has some of the most profound things to say about vulnerability and shame. What does this have to do with praise? 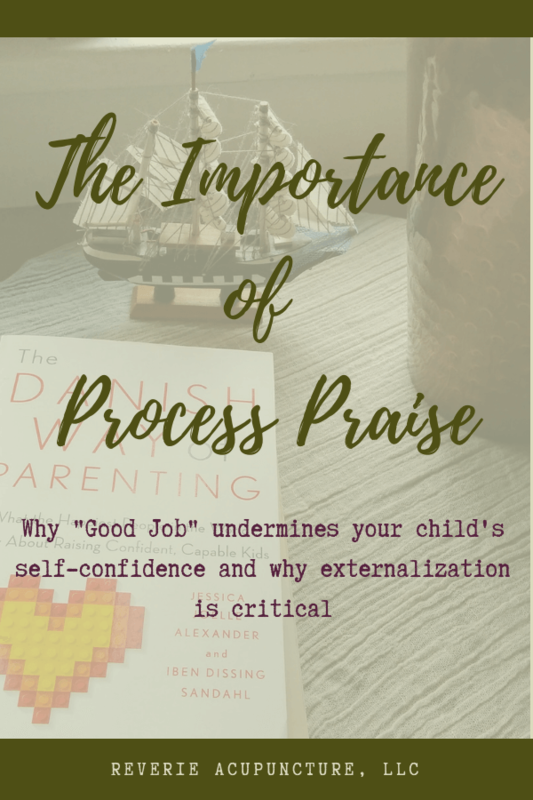 If we spend our time praising our child for being good, being smart, being pretty, being [x], if they ever encounter a situation that challenges that belief, they are no longer good, smart or pretty enough. Now they are a failure. Their existence is undermined. So kids who grow up with this fixed mindset of “I am [x]” do everything in their power to avoid situations that make them feel that they are not [x]. They stop trying for fear of failure. And to stop trying is to stop growing. Children who have grown up hearing “You got an A on that test! You worked very hard at studying,” or “This was an excellent choice of colors. I like how you made the leaves on the tree different shades,” know that it was their efforts and choices that got them to where they are, not the fundamentals of who they are as a person. This type of praise creates what is known as a growth mindset. Instead of telling your child “Good job!” tell them what about their job was good. Instead of telling a child they are polite, tell them that you are impressed by their manners (existence versus action). And when your child brings home a failed test or paper and is worried that they aren’t smart, talk to them about process. Talk to them about the things outside of themselves that they can change and grow. Failure isn’t what defines you, it’s what you decide to do afterwards that determines who you will become.